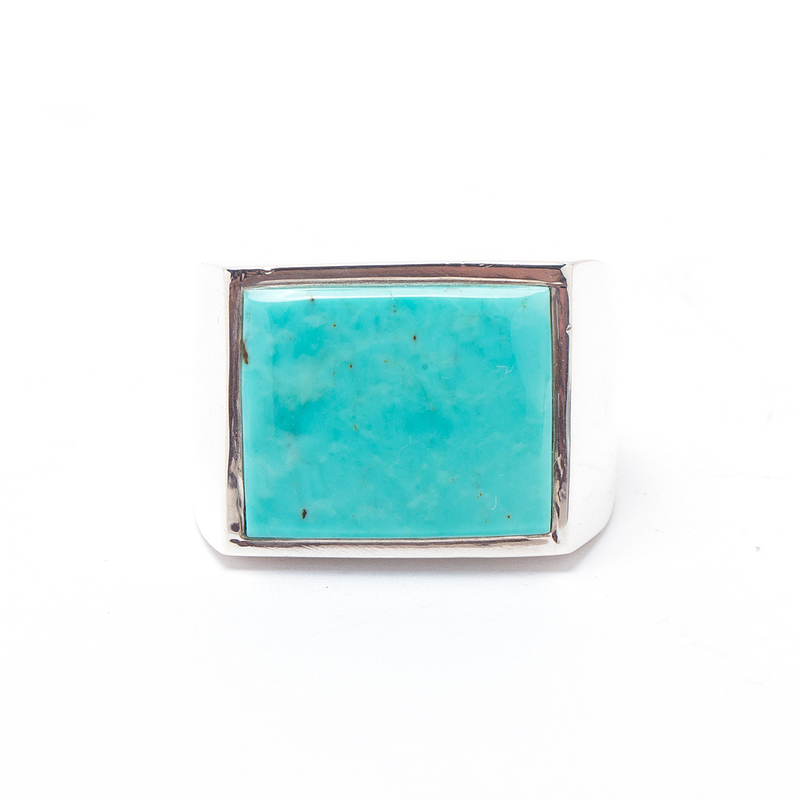 Every man needs the classic rectangle Turquoise Sterling Silver ring. Navajo Native American Silversmith GL chose this impressive Turquoise cabochon with its sea blue color for his creation. We can size this to fit you. 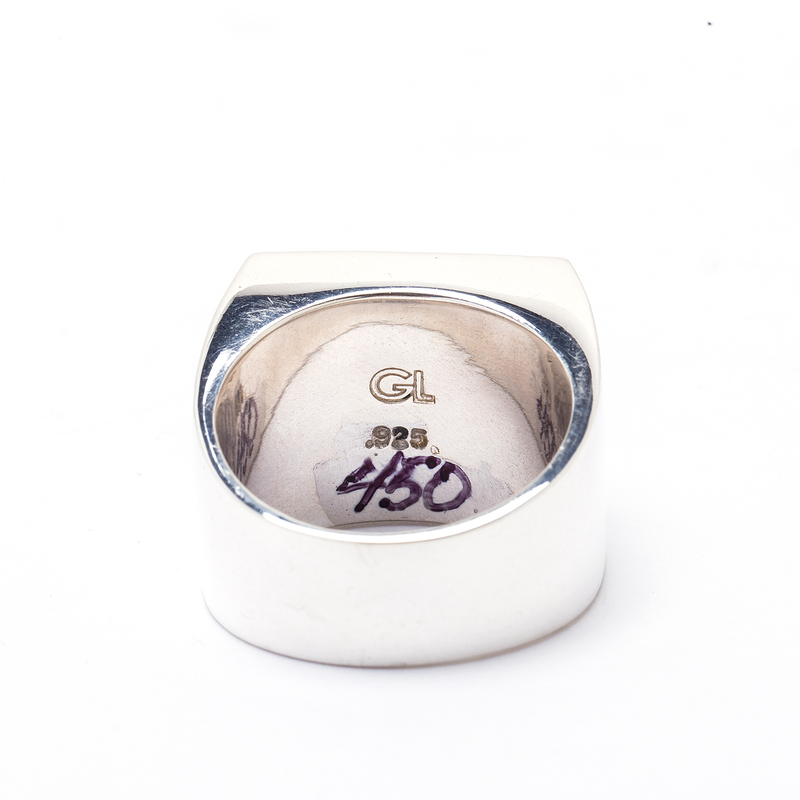 The ring is hallmarked “GL” and “Sterling”. We also offer free gift wrapping with purchase – just ask! 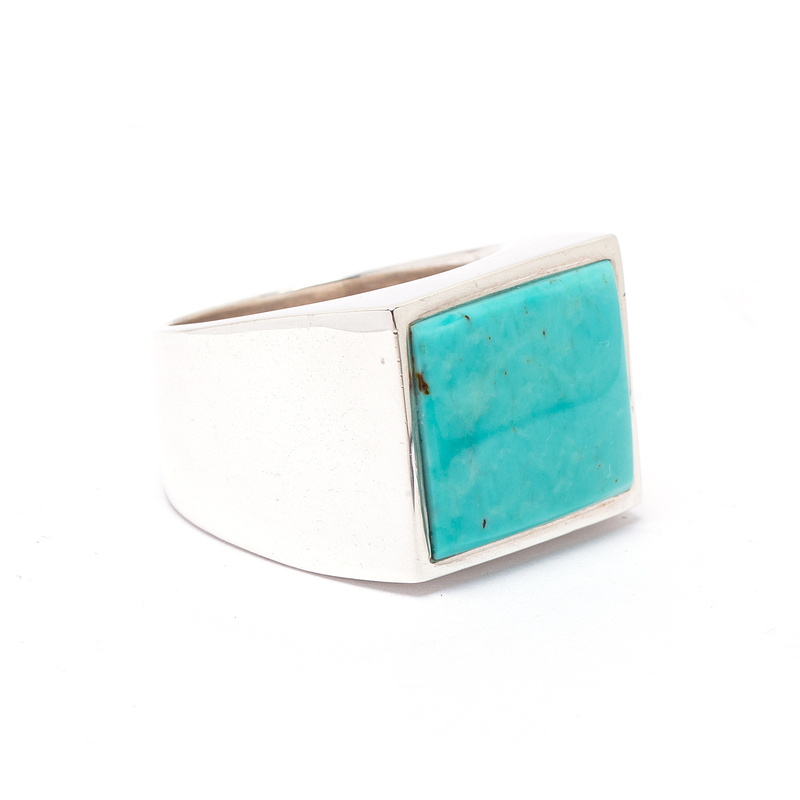 Navajo Artist GL Turquoise Ring features a nice piece of rectangle Turquoise stone set in a Sterling Silver ring.